Direct Thermal or Thermal Transfer Printing - how to choose? How do you choose between direct thermal or thermal transfer printing? Thermal printing is a digital printing process, which produces printed images by selectively heating coated heat-sensitive paper – usually curing the paper to turn it black where heated (although other colours can be achieved). Thermal transfer printing uses a coated ribbon to produce durable, long-lasting pictures and text on a variety of materials. Direct thermal printing creates images directly onto the material; this makes direct thermal more sensitive to light, heat and abrasion and reduces its lifespan. It has a high-resolution print technology: it will increase the printing speed up to 400 packages per minute. 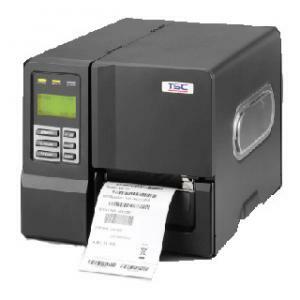 In addition to standard information being printed such as expiry date, the thermal printer will also stamp logos, graphics and bar codes. It will reduce maintenance costs. This due to the silicon coating on the ribbon on the printhead side, which protects it from excessive wear, therefore the printer lasting longer. It will improve the quality of your labels, due to the labels being more legible as there is no ink smudge. What is the difference between direct thermal or thermal transfer printing? The decision to choose direct thermal or thermal transfer printing is based on the performance you need from your adhesive labels. The difference is that Direct Thermal printers don’t use ink, toner or ribbon. This makes them cheaper to operate compared to inkjet, laser, impact and thermal transfer printers (which uses a consumable ribbon). It is a more environmentally friendly method too as there is no need to dispose of the used ink ribbons, so reducing waste. The consequence of not using ink, however, is that the labels will lack lifespan. The labels remain scannable for up to 6 months if well stored such as would be the case in a distribution centre. They are suited to short lifespan applications such as courier distribution, food and short life processes. On the other hand, thermal transfer printers utilise a thermal ribbon, which when heated, delaminates the wax or resin onto the material face forming the image wanted. This provides an image of high quality and excellent durability and lifespan. Another benefit is that thermal transfer can be used on a wide range of materials. Direct thermal printing can only be used with direct thermal papers or plastics, the latter being extremely expensive. These different materials may affect the durability of the labels. E.g. polyester is waterproof, scratch resistant and has an excellent durability, therefore, the label having long-term outdoor durability as well as being a permanent acrylic adhesive. Paper – aggressive permanent adhesive; suitable for packaging and shipping labels. Plastic – excellent resistance to water and smudging; well-suited for applications where durability (6 months or more depending on climate). Strength is important in applications such as in asset tracking, product marking, drums and HMIS labelling. Also, it has an all-temperature adhesive with high initial tack on low-surface energy plastic, painted, metal, fibre drums and textured surfaces. Polyester– waterproof, scratch resistant, with permanent acrylic adhesive; excellent as it provides long-term outdoor durability, useful for instrument marking, due to have been tested for autoclaving pressure-wash for up to 50°C. UPC labels–made of matte white paper stock with a permanent adhesive; having excellent quality, which leads to easily scanned barcodes. Also, printing your own labels means that it will save you time and money. Chemical resistant labels–perfect for applications such as chemical drum labels, long-term outdoor labels, part tracking labels and post-solder circuit board marking; appropriate in clinical laboratories as waterproof, and its adhesives are solvent and temperature resistant. Warehouse retro-labels–long-distance barcode scanning up to 30-40 feet . Endura-labels–superior adhesive that aggressively bonds to rough, high textured substrates, oily and greasy surfaces and low-surface energy plastics. It endures harsh conditions of manufacturing, construction and automotive work and great for labelling tools, equipment or storage containers like drums and stocking bins without a lot of surface pre-cleaning; having up to 2yrs outdoor durability. Freez-R-MarkTM– gloss-coated labels having aggressive “freezer” adhesive; can be applied on packaging materials at room temperature and then subjected to -40°C blast freezing. It adheres to many surfaces that have frost or moisture build up as well as featuring an excellent initial tack and ultimate bond to flexible and corrugated packaging, even when applied at freezer temperature.